Can you believe August is nearly here and the summer is almost over? Well Rufus and Emily want to remind you to seize the day. The countdown to fall may have already started, but the point is, let’s make the last of the season awesome. 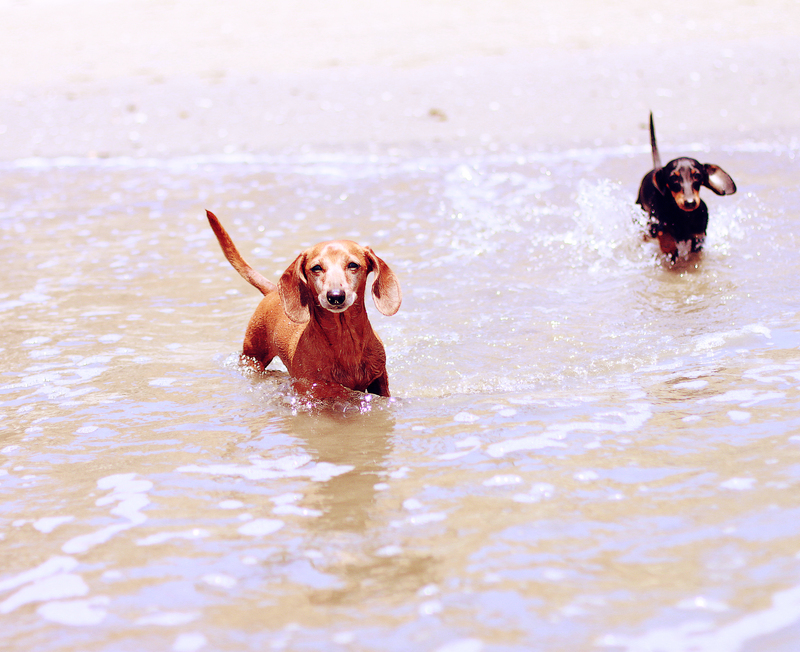 In fact, we’re going back to the beach today, and we encourage you all to get out this Sunday with your doxies and do something summer-tastic together. 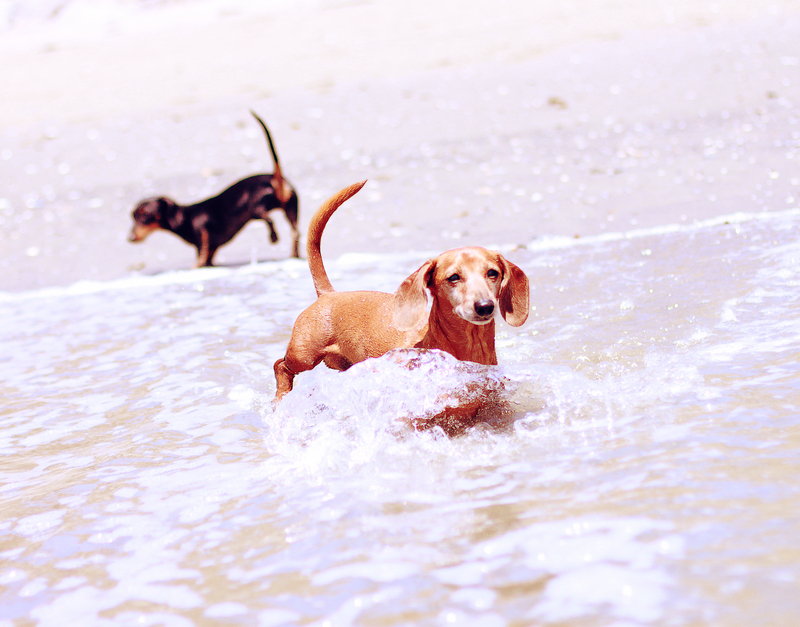 This entry was posted in Emily, Rufus and tagged #beach, #black and tan dachshund, #dachshund, #red dachshund, #smooth dachshund, doxies. Bookmark the permalink. When my daughter lived in Galveston, her puppy, Bella (who could be Emily’s twin! ), loved the beach! She loved chasing the shore birds into the water. Then when they got home, she would sprint into the bathtub for a wash. She will even sit on my float when I’m in the pool. She loves water!